Not quite. In fact, the sanitarium was around he corner from what is now the leisure centre. The entrance you see on the postcard was on Nine Mile Ride. The site was bought in the early 80s for Hewlett-Packard’s UK headquarters. HP demolished the old sanitarium and built a two-story office building. The lodge house was still standing until a few years ago; when I worked there, we used it as a store room. The site was sold a few years ago to a pharma. company, who again demolished the building and rebuilt. How strange. I thought that it was originally built a a hospital for members of the Canadian forces which is why the wooden houses set originally in the nearby woodland , and still used today,were for the Canadian doctors. I remember it as a tb hospital , as a child in the 50s.My father let me take flowers to the patients.I used to cycle there from our home on Broadmoor Est.One of our neighbours wives was a nurse at pinewood Sanatorium as it was known and a Dr. McCann (? )was, believe the doctor in charge in the 50s. The main entrance was where it is now. Both Canadian and US troops were based in our area during the Second World War. 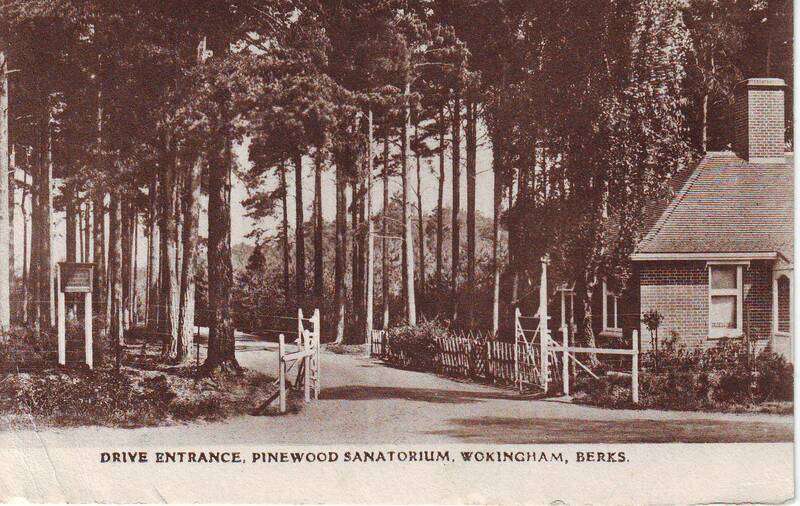 I was in Pinewood Sanatorium in 1945-1946. The Canadians were sill there and used to lend us all the latest films which we could watch. As for the wooden huts we were put in them when we were ready to convalesce. I was 16 at the time and remember it well. I was from London at the time but now live not far away from Wokingham in Ash Vale.